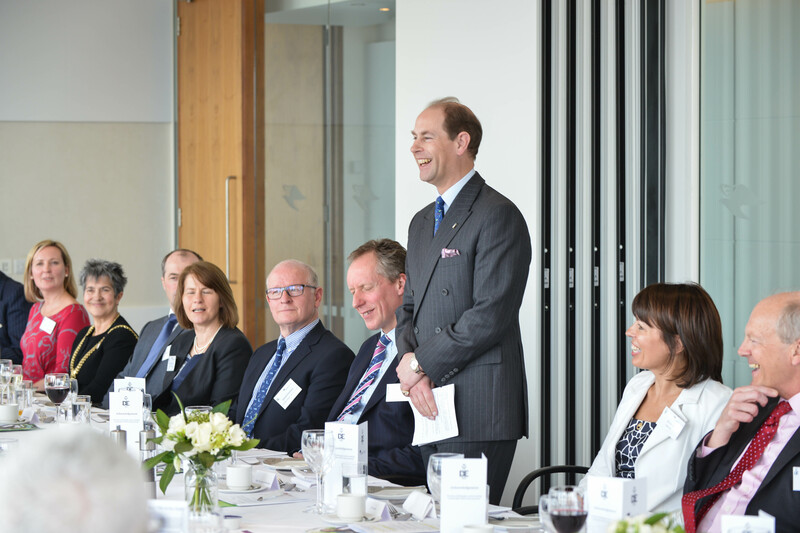 Accountancy firm Baker Tilly welcomed HRH The Earl of Wessex to its offices in Liverpool today as it celebrated becoming the first ever Headline Diamond Partner of The Duke of Edinburgh’s Award (DofE). The event at Baker Tilly’s office in Chapel Street, Liverpool, was hosted by Jill Jones, Baker Tilly’s North West Regional Managing Partner and attended by key figures from the North West business community. Other local dignitaries attending the lunch included: Dame Lorna Muirhead DBE, Her Majesty’s Lord-Lieutenant of Merseyside and Councillor Erica Kemp CBE, The Lord Mayor of Liverpool. Baker Tilly started supporting The Duke of Edinburgh’s Award in 2006, and with the DofE approaching its Diamond Anniversary in 2016, Baker Tilly has been chosen to become the DofE’s first Headline Diamond Partner for Local Impact. Baker Tilly’s Chief Operating Officer, David Gwilliam, was presented with a certificate to recognise Baker Tilly’s new level of support (Headline Diamond Partner) by HRH The Earl of Wessex. Jill Jones, Baker Tilly’s North West Regional Managing Partner said: ‘Baker Tilly has a strong and long standing relationship with The Duke of Edinburgh’s Award, we are extremely proud to become the first ever Headline Diamond Partner and provide continued support to a charity that has changed the lives of so many young individuals.